The Armstrong Lie, Alex Gibney’s documentary of Lance Armstrong‘s rise and spectacular fall after his doping admission, will be released on Blu-Ray and DVD from June 2 via Sony Pictures Home Entertainment. Originally, the BAFTA-nominated film was titled The Road Back, but Gibney had to re-write and re-edit his work as the story changed – and gave the film a new title, The Armstrong Lie. It’s a damning portrait of Armstrong as he fights his way back into the pro peloton, fending off allegations of doping with lie after lie. Then Armstrong comes clean to Oprah Winfrey, admitting to a career of taking banned substances and blood doping culminating in the stripping of all seven Tour de France titles. New interviews were added in the light of his confession, including with Armstrong himself. The Blu-Ray and DVD discs include commentary with Gibney; a Q&A with Gibney, Frank Marshall, Bill Strickland, Jonathan Vaughters and Betsy Andreu; and 40 minutes of deleted scenes. Gibney won a ‘Best Documentary’ Oscar in 2008 for Taxi to the Dark Side. 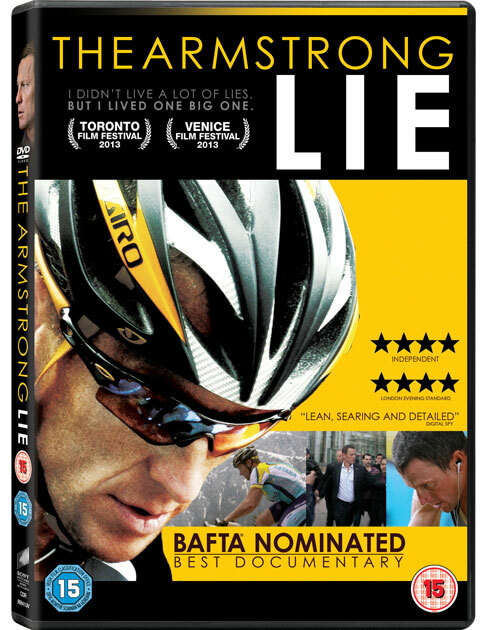 The Armstrong Lie runs for approximately two hours and is rated 15. Purchase of the film on disc enables you to download a digital version.